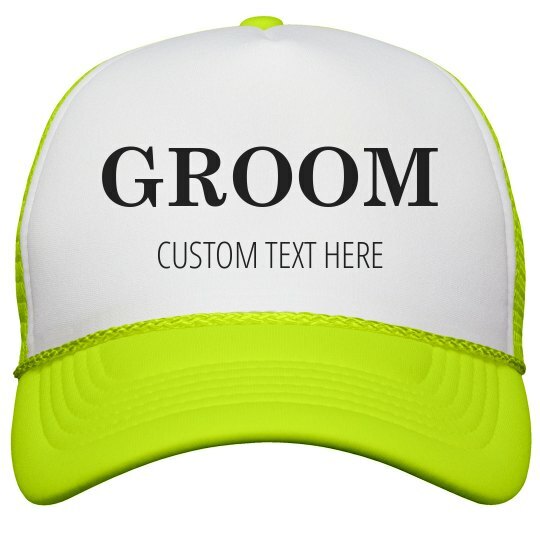 Customize this cool neon trucker hat for the groom to wear with his bride to be! Add his name, wedding date or any other text. Be sure to get the bride her matching hat so they can wear these together.